A group of girls discover their summer camp is a hotbed of mystery, supernatural monsters, and dodgy puns. A graphic novel. Most of the magic has left England, until two magicians appear in the nineteenth century. But they become rivals. As Harry experiences his fourth year at Hogwarts a prestigious international wizarding tournament comes to the school. The fourth novel in the Harry Potter series. A convicted murderer has broken out of the prison of Azkaban and the wizarding school of Hogwarts is being patrolled by dementors. The third novel in the Harry Potter series. A young wizard returns to Hogwarts, only to find other pupils are being turned to stone. The second novel in the Harry Potter series. A young orphan boy discovers he is actually a wizard. The first novel in the Harry Potter series. An impressionist begins to suspect that he is only playing at being human, and that he is being followed by malevolent fairies who want him back. A collection of short stories. It features stories about God and linked souls, the magic of money, and houses that remember. An elderly ghoul-hunter who would like nothing better than to retire is forced to confront an ancient sorcerer threatening to seize the Throne of the Crescent Moon. A young man steals an ancient book that transports him to a different version of reality. But a supernatural war is brewing, and nothing is as it seems in this complex narrative. The first volume in The Book Of All Hours series. The Malazan Empire is locked in perpetual warfare as mages, soldiers, and the Empress engage in a battle for supremacy. The first book in the Malazan Book Of The Fallen series. When an odd old lady is taken ill, workmen enter her house and clear a carpet that seems to contain a world. Wizard Drusilla Jaco faces an undead serial killer mimicking the Axeman of New Orleans turns up in the city. The third in the Sentinels of New Orleans series. Sookie faces intense family problems when her awkward supernatural relatives turn up. The tenth Sookie Stackhouse novel. Werewolves and shifters announce their presence to the world, whilst Sookie learns more about her distant relatives. The ninth Sookie Stackhouse novel. Five companions must band together and summon a cursed warrior from his resting placein order to protect the land of Fionavar from evil. Book two of The Fionavar Tapestry. An illegitimate prince discovers he has the Sight. The first novel in the Merlin series. The Rat Queens search for a friend, only to encounter weirdness, and a mysterious stranger arrives in Pallisade and they begin to lose people and memories. The ruler of her people is expecting to be banished at the end of her reign, as is custom. Instead she is faced with the threat of rebellion and dark prophecy. The first novel of the In The Heart Of The Mountains series. Four children travel through a wardrobe into the land of Narnia, which is being kept in perpetual winter by a witch. A young man must rescue his true love from an unwanted marriage in this story of sword fights, pirates, and yucky kissing. Moist Von Lipwig, a con man, is given the chance to run the ailing postal service in Ankh Morpork. A team of occult scientists set up a service for detecting and banishing ghosts in New York. A human cop is unhappy about being paired with an orc in a Los Angeles filled with magical beings, as they go after a dangerous wand that people will kill to obtain. A boy discovers a strange man living in the shed. However, his baby sister falls seriously ill and she will need a miracle to pull through. These are the top rated fantasy reviews. Subgenres covered include urban fantasy, paranormal romance, epic fantasy, sword and sorcery, fairytale retellings, myths and legends, and portal fantasies. You will find more reviews if you use the search box on the right. Cinderella is used to being mistreated by her step family, but little is as it first appears in this twisted version of the classic Cinderella story. The first book in the Dark Fairy Tale Queen series. A group of young women would rather get drunk and slay trolls than call their parents. A graphic novel. Two minor royals marry to secure an alliance between their countries, although they find each other hideous and others will scheme to tear them apart. The first novel in the Wraith Kings series. The second instalment of the Rat Queens series the Queens take on demons from another dimension who are destroying their town. A graphic novel. Bobby Dollar has already been to Hell, but his toughest test will come when he takes on a rogue angel who outranks him many times over. The third Bobby Dollar novel. Beth Ryder has hidden powers that mark her out for a different life, but she is about to find out how different when she embarks on a fantastic and dangerous journey. The second novel in the Emanations series. A young woman rebels against her family whilst trying to resist the will of the fae lord. The first novel in the Split Worlds series. Cathy feels trapped by marriage, whilst her friend Sam feels unable to save his own. The second book in the Split Worlds series. Helen is beautiful, but what good are perfect looks if people use them to keep her powerless? The sequel to Ironskin. Cathy wants to change a magical society that has not altered for centuries, but she discovers that even those at the top are little more than puppets. 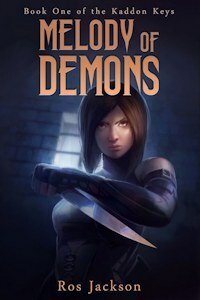 The third volume in the Split Worlds series. A privileged young woman goes searching for the reason her life is charmed, but her curiosity takes her to another world, and mortal danger. Trouble is brewing for the thief who once stole a giant, and his developing conscience is not helping him to escape it. Book two of the Tales of Easie Damasco. A cursed woman becomes a governess to a very peculiar child in this dark fairytale. Tanyana wonders who she can trust with her secrets when even her body seems intent on betraying her. The second in The Veiled Worlds series. A young woman returns to her family after a long absence. But can she walk back into her old life after all she has seen? The acid-tongued necromancer journeys to the Dreamlands and takes on ghouls, gods, and furry menaces with a society who want to defeat fear itself. When a fall destroys her latest grand project, magical architect Tanyana feels like she has lost everything. Can a group of stranded time travellers fix history and recapture an ancient evil being capable of destroying the world? The sequel to The World House. Thomas Cale is supposed to be the Angel of Death, but will he give the Redeemers the destruction they crave? The sequel to The Left Hand of God. A story of necromancy, warfare and painting in Renaissance Europe. When a teenager's little sister is abducted by angels, she sets out on a journey across an apocalyptic wasteland to retrieve her. Book one in the Penryn and the End of Days series. The Revered Speaker has died, and the High Priest for the Dead must keep order so that his successor has an empire left to rule over. The second book in the Obsidian and Blood series. How do you escape from a nightmarish house where the laws that govern our reality don't apply? A young woman is looking forward to graduation in a rapidly modernising city when she is forced to marry a Cold Mage and her life is completely changed. Book one of the Spiritwalker series. Coraline Jones feels bored and neglected, and is ready to swap her workaholic parents for more attentive and loving substitutes. In the second instalment of Christian Bale's take on Batman, the caped vigilante of Gotham City takes on The Joker. In the third film in the Pirates of the Caribbean series can the crew rescue Jack Sparrow and keep Lord Beckett from eliminating piracy forever? The second episode in the series adapting Sergei Lukyanenko's Night Watch novels. Weirdness abounds in this story of a girl, her mother, and a very peculiar dream. The story of the origins of the Dark Knight is retold. The boy wizard begins his second term at Hogwarts. A peasant poses as a knight in this adaptation of a story by Chaucer. A boy is entangled in the adventures of a group of robbers who have stolen a map that allows them to travel through time. A bookish young woman is taken prisoner in an enchanted castle by a beast. But is he as terrible as he seems? A young man wants to leave his small town, until Lena arrives and brings magic and madness into his life. An adaptation of the novel by Kami Garcia and Margaret Stohl.